Summer time is perfect for working out or playing sports while enjoying the long lasting light. Let’s face it, summer is definitely a favourite season for many. This does, however, require one to remain hydrated. Drinking Water Fountains are here to ensure your hydration is taken care of. When the heat strikes you will naturally perspire, some more than others depending on your body. This occurs as your body needs to cool down. 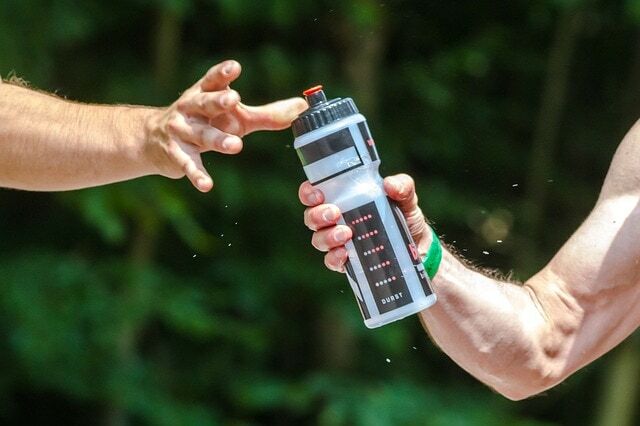 At this point, staying hydrated is important to avoid muscle fatigue. Drinking plenty of liquids before, during and after sporting events is a necessity. Drinking Water Fountains offers Indoor Drinking Fountains and Outdoor Drinking Fountains to ensure you are taken care of, no matter the environment. Our water fountains are able to withstand any environment. You are also able to choose between wall mounted and floor standing water fountains. Our aim is to always provide our customers with easily accessible quality drinking water. Staying hydrated should not only occur during summer but all year around. So if you find yourself attending the ever so famous, Wimbledon tennis Grand Slam or playing some cricket with your mates, ensure you have accessible drinking water nearby. With over 10 years of experience in this industry, we aim to provide our customers with long-term hydration solutions in their facilities. You may be happy to know that our products are made from food-grade, robust materials with a classy finish ensuring the longevity of the drinking water fountain and it can enhance any space. Avoid possible dehydration. Symptoms of dehydration include headaches, tiredness and poor concentration. The intake of fluids during your sports keeps your muscles working and avoids fatigue. Drinking water before your workout is good as your body loses water while being active. Staying hydrated reduces your recovery time after exercises. Well, it is evident that water is a necessity. Interesting fact, your body can live without food for several weeks but you can only go less than a week without water. Basically, water needs to continuously be replaced in your body. We all know water does not have the best taste, or maybe no taste at all but it is definitely refreshing. Let’s just reminisce on a moment after you’ve had a hectic sport game or watched some tennis is the heat, water would probably be the best liquid to quench that thirst. If you are interested in purchasing a drinking water fountain from us or if you are looking for short or long-term agreements, please do not hesitate to give us a call on 0845 500 4455. Alternatively, you can pop us a mail at contact@drinkingwaterfountains.co.uk. You are also able to chat to us via our live chat on our website. One of our consultants will gladly assist you and provide you with the necessary information. Our aim is to ensure all our clients receive sound advice giving them extra information about their water fountain. We look forward to hearing from you.